Funeral services for Robert W. Dombroske of New Richland, MN, will be held at 2:00 PM Monday, April 8, 2019 at Trinity Lutheran Church in New Richland. Pastor Paul Andree will officiate. Visitation will be one hour prior to the service at the church. Interment will be in St Olaf Cemetery, New Richland, MN. 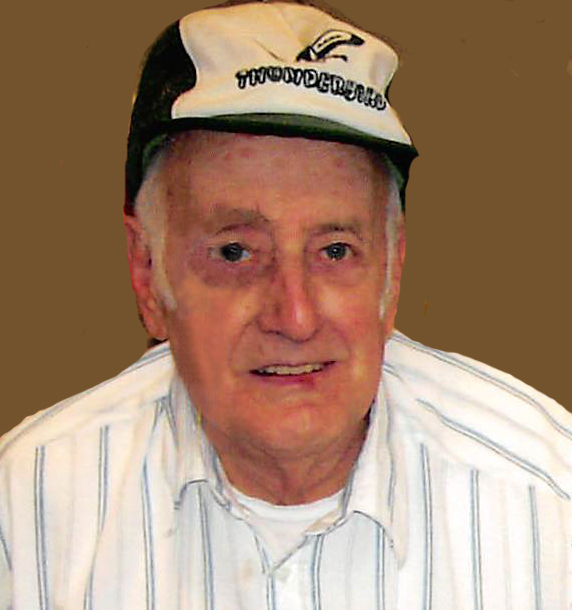 Robert died Wednesday, April 3, 2019 at the New Richland Care Center. He was 87 years of age. Robert was born February 20, 1932 in Wells, MN, the son of Leo and Thelma Dombroske. He graduated from Wells High School. On January 7, 1951 he married his high school sweetheart, Joyce Brigger. Together they lived in Albert Lea moving to New Richland in 1973. Robert worked as a diesel mechanic in New Richland for many years. He was a member of the Trinity Lutheran Church and the Albert Lea Moose Club. Robert enjoyed fishing, camping, playing cards, dancing and all Minnesota sports (especially the Twins). Good times were also spent with his cat, Toby. Robert is survived by his children Vicki Eckert of Lake Crystal, MN, Curt Dombroske of Hartland, MN, Pam (Brad) Walstrom of Alma, WI, Kathy (Jon) Meyer of New Richland, MN, and Mike Dombroske of New Richland. Grandchildren include Jen, Bev, Chris, Matt, Danny, Brady, Alyssa, Emily and Lucas. There are numerous great grandchildren and one great-great grandson. Also surviving are two sisters, Lori Walther and Jodi Dickerson. He was preceded in death by his parents, wife Joyce in 2014, and two sisters.